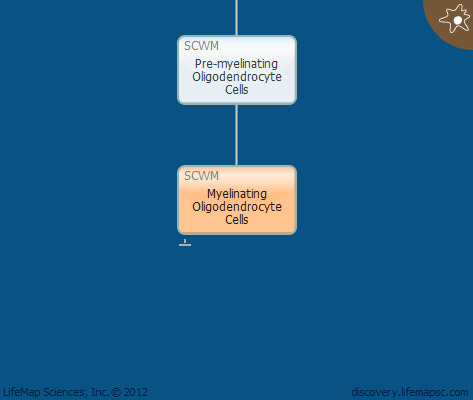 Myelinating oligodendrocyte cells are the myelinating glial cells of the central nervous system. The myelin segment is a fatty insulation composed of modified plasma membrane that surrounds axons and is essential for the rapid propagation of action potentials along the axons. One oligodendrocyte can produce up to 40 myelin segments on multiple axons. Failure of remyelination or demyelination caused by injury or disease impairs the rapid conduction of action potentials, leading to axonal degeneration in demyelinating diseases, such as multiple sclerosis.